Minerals, inorganic elements that are vital to bodily functions, can be divided into two groups– macrominerals and micro or trace minerals. Many of us may be familiar with the macrominerals calcium, magnesium, potassium and sodium, which are necessary in significant amounts. 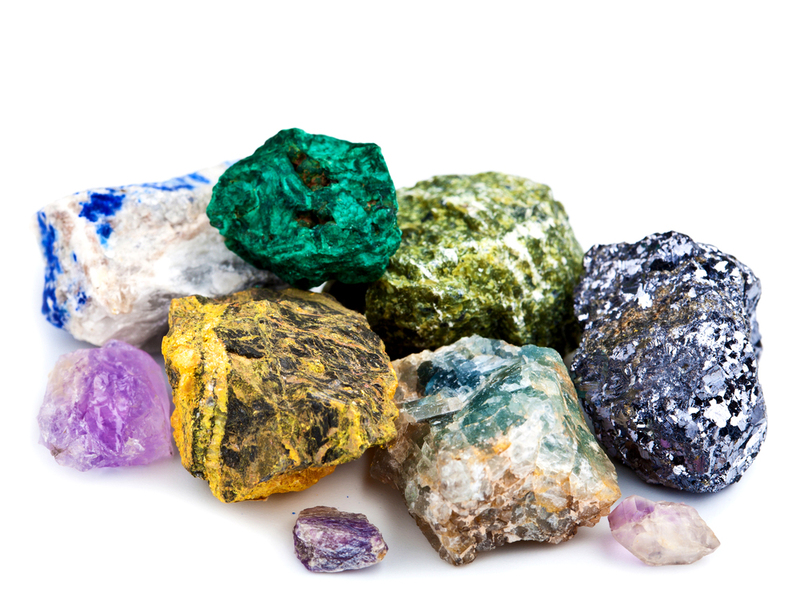 Trace minerals are found in very small quantities in our bodies. All minerals are equally important for overall health, and each provides a separate, independent function. Throughout history we have obtained our vitamins and minerals through our diets. Soil is the primary source of the minerals that every living cell depends upon for its structure and function. Plants obtain these necessary nutrients when they are absorbed through the plant roots, feeding the plants that will, in turn, provide nutrients to us. Healthy soil, essential for food production, provides a stable base for plant roots and stores water and essential nutrients required for plant growth. Unfortunately, today intensive, chemically based farming methods have increasingly stripped the nutrients from soil, causing vitamin and mineral nutrient levels of fruits and vegetables to drop significantly over the last 70 years. According to researchers at the University of Texas, the declining nutrient content of food is directly related to agricultural practices that are designed to increase yield and improve size, growth rate and pest resistance rather than nutrition. The result, mineral deficient foods. According to two time Nobel Prize winner Dr. Linus Pauling, “You can trace every sickness, every disease and every ailment to a mineral deficiency.” Magnesium deficiency is linked to heart disease, calcium deficiency is linked to osteoporosis, chromium deficiency is linked to diabetes and selenium deficiency is linked to cancer. It is not just the presence of minerals that is important, they must also be in a balanced ratio to one another. As each mineral relies on or affects every other mineral, deficiencies can affect the entire bodily system. Minerals are necessary for bone and blood formation, healthy nerve function and maintenance, reproduction, and heartbeat regulation. Minerals are essential for growth, healing and energy release. Calcium, which helps build and maintain bone strength and regulates muscle contraction, including heartbeat. Calcium also plays a role in the activation of enzymes and hormones. Calcium is essential for blood clotting, helps to keep skin healthy and aids in the transmission of nerve impulses. Sodium Chloride, which helps maintain normal fluid levels, healthy muscle function, and proper blood pH blood levels. Sodium Chloride aids digestion and mineral assimilation and helps the body eliminate carbon dioxide. Magnesium, which is a cofactor in more than 300 enzyme systems that regulate protein synthesis, muscle and nerve function, blood glucose and blood pressure control and energy production. Magnesium plays a role in bone formation and in carbohydrate and mineral metabolism. Phosphorus, which is needed for blood clotting, bone and tooth formation, cell growth, kidney function, and heart muscle contraction. Phosphorus assists in energy production and vitamin utilization. A proper balance of phosphorus, calcium and magnesium is essential and should be maintained at all times. Potassium, which is important for maintaining healthy nervous system function, regular heart rhythm and stable blood pressure. Potassium works with sodium to control the body’s water balance and aids in the transmission of electrochemical impulses. Sulfur, which protects against toxic substances and helps to purify the blood. Sulfur helps to maintain oxygen balance, stimulates bile secretion and supports the production of collagen for the maintenance of healthy skin and hair. Chromium, which is essential in the synthesis of proteins, fats and carbohydrates, maintains stable blood sugar levels through proper insulin utilization. Chromium also plays a role in prevention of heart disease by supporting healthy cholesterol levels. Copper, which aids in hemoglobin, red blood cell and collagen production and provides support for the immune system and nerve cells. Copper also aids in energy production, iron absorption and may have antioxidant benefits. Iodine, which is required for the synthesis of the thyroid hormones that regulate the basal metabolic rate and contribute to the development of the skeleton and brain. Iron, which is found in every cell, is the most abundant trace mineral in the body. Iron is essential for oxygen transport to the cells and is required for red blood cell formation and energy metabolism. It removes waste products and plays a vital role in the production of new cells, amino acids, hormones and neurotransmitters. Iron aids immune system function and is needed for physical and neural development. Manganese, which activates enzymes that play important roles in carbohydrate, amino acid and cholesterol metabolism. Manganese is needed for the formation of healthy bone and cartilage and is a precursor to the production of the neurotransmitter GABA. This entry was posted in Home and tagged Chromium, Copper, Iodine, Iron, Manganese, minerals, Professional Supplement Center, Vitamins and supplements, www.professionalsupplementcenter.com. Bookmark the permalink.